Ok guys, here's the thread to discuss anything to do with pocket knives, multitools and all other non-fixed blade knives. No parameters, just stick to the subject. My leatherman broke after 21 years!!! Yes, and my leather pouch developed a small crease where the finish cracked when I landed on it! Actually, I did manage to damage the wire cutter part of the pliers when I tried to cut through the steel in a bike tyre. The edges deformed so that the pliers stuck a little when closed. I later filed them smooth and its fine now. 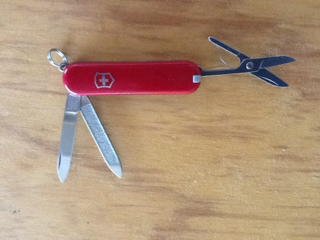 My EDC is a SAK Classic that's been with me for 20-something years, it's the original Classic with a small blade, scissors and nail file. The knife and scissors get used all the time but the nail file just wastes space so I would like to swap it for a second blade. 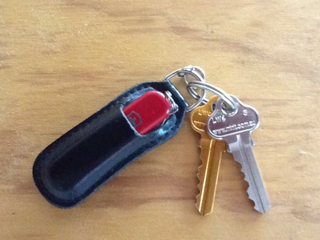 It lives in a small pouch on my house keys and is small enough to go with me just about everywhere. 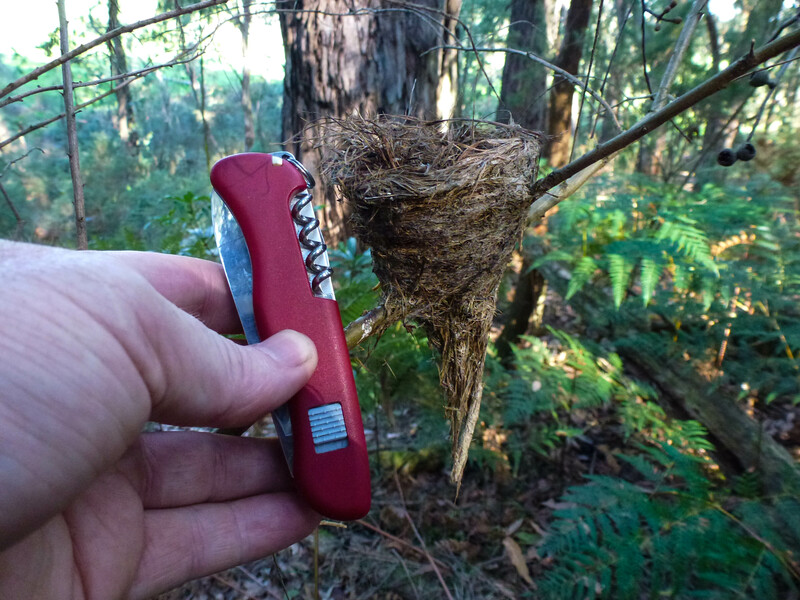 I also have an opinel 7 in with my first aid kit so it always goes with me on any hike. Ah, also my old Leatherman but it doesn't really get used much and comes with me less and less because it's so darn heavy. do they have a lifetime warranty? I love this one... a little on the heavy side. The saw is handy for notching when combined with the knife. Scissors can be overlooked, but are very useful. If I only take one knife, this is it. The button is for unlocking the main blade. I found leatherman has a 25 year warranty. So I sent mine in today. ...... I used it for everything. So what broke on it? That's a great warranty. Not much comes with such a long warranty. Hope they are as good as their word. I used the wire cutters to shorten screws with. Maybe not what they were designed for, recently the pliers broke doing that. The only thing I disliked was how smooth the handle is (super tool). My hand slipped a couple of times using the blade and cut myself. I learnt pretty quickly to push my little finger against the bottom end of the shaft when using the blades. My favourite pocket knife is my Shelham with Marlin spike. Is that true or another April Fools ? I always tell the truth even for april fools day jokes. Had a Gerber Evo with spear point and partial serration's as ECD for year's and found it to be the best pocket knife I ever owned (lost it), I am yet to find the "perfect" multi tool have an old gerber, a leatherman side kick and a juice - all have their uses but .. .. .. all seem to fall short somewhere. I carry a Leatherman Wave on my belt 99% of the time. The only time I don't have it on my belt is when the law doesn't allow it. I use it every day. I have used every tool on the Wave several times. I wouldn't NOT carry it. Yeah it is heavy but once you get used to carrying it everyday you don't notice it. In fact the only time I do notice it is when I don't have it on my hip. I feel naked without it.